Great French Judge Montesquieu once said that “Useless laws weaken the necessary laws”. Likewise if one moves the spotlight of quote towards the current legal scenario of India then it appears that there are contemporary developments which require strong laws instead of old and those of token value. The necessity of strong laws becomes more important when it comes to the protection of social harmony and cherished ideals for which our freedom fighters fought. There are various crimes whose implications travel beyond the effect on an individual person. One of the major crimes of present time is of Mob Lynching which certainly requires to be curbed with an iron hand. When our founding fathers adopted the Constitution, then they equipped it with other laws of substantial and procedural role which needs to be revived with due course of time. It was changed with regular developments but provisions of laws like Indian Penal Code (1860) of times of British rule are not sufficient to keep check on the people with nefarious and narrow mentality. As the supreme law of nation clearly throws the guiding light in its preamble for providing equality and justice to all, it becomes main duty of the union to uphold such values. 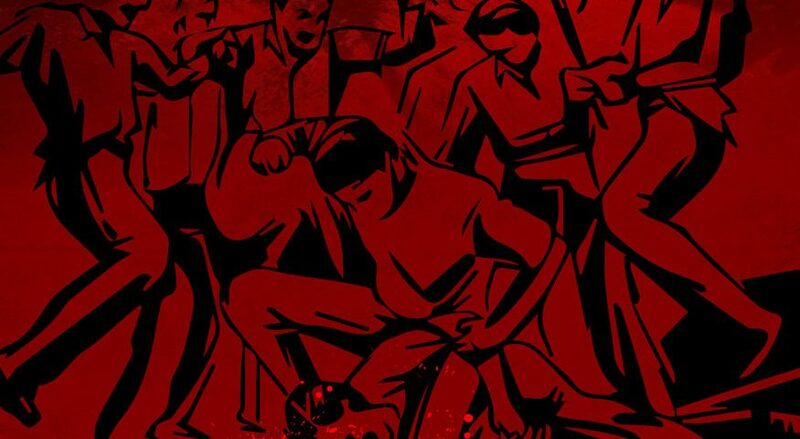 In India lynching in the name of cow vigilantism and child trafficking may seem new to us but it is certainly not restricted to only these two areas. We as a society has a dark history of other types of lynching which includes lynching in the name of interfaith relationship, inter-caste relationship, oppression towards so-called lower castes, Witch hunting, political opposition etc. It was also present in ancient and medieval period with significant amount of incidences because of religious antagonism. The record of other countries in this horrific crime is also not very satisfactory. Like in USA, there is very old history of lynching in the name of color. Mob lynching by whites in the name of racial superiority forms a major chunk of atrocities committed on Afro Americans people. Lynching was a method of social and racial control meant to terrorize black Americans into submission, and into an inferior racial caste position. The killing of Jews in Germany by Nazis is another example of it. Various tribes around the world are also involved in lynching outsiders in organized mob. What is disturbing is the nature of lynching which is happening these days in India with a religious and ethnic stance. This is not only a crime but it is also used as a method to finish the social fabric of our society. The main characteristic of lynching is that it is a crime done with the authority of self assumed authority. It implies that the people have lost the fear of law enforcing authorities or authorities too are indulged in these crimes. Further one thing is clear that it has not been addressed carefully which has somehow “encouraged” the goons to do it. A proper understanding of the psychology is also important while seeing this issue as a crime against the society at large. A mob lynching isn’t the same as any physical harm or a killing. It needs several components to come together: attackers, spectators and outnumbered victim(s). It needs the public humiliation of the victim and, unlike a lawful process of punishment, a lynching is a demonstration that the sentiments of the attackers are beyond the law or the government. In the attempt to rationalize such mob killings, it becomes important to understand how the brains of those involved, including the spectators’, work. For one, the neural processes of thoughts and cognition of the people involved in action have to be dissimilar to the processes of the people that decide that the lynching will occur. The attackers believe in the fact that their prey is a person outside of their social and cultural norms which provokes them to eliminate him. This is seen in the lynching in the name of caste and religion mainly. While in some other cases an inherent feeling of hatred is also inculcated inside the mob which is the result of their social background. While cases relating to Mob lynching had been filed in courts for a period of time but it has been addressed by the Hon’ble Supreme Court recently in the case of Tehseen Poonawala vs. Union of India where the court laid down some fundamental guidelines as how to deal with such crimes. The court in its preventive measure has mainly stressed on two things that a Nodal officer of SP rank should be appointed by the government in each district to control and eradicate the possibilities of such crimes. The second thing court has pointed is that of proper co-ordination among various stakeholders like government and other agencies while dealing with mob violence. The court should have added a few measures in its preventive directives like while eradicating the possibilities of such incident, police and government should identify the areas which are prone to such incidents and those areas too where riots and incidents of communal violence have taken place recently. A complete ban on gathering of people at sensitive places with the help of sec. 144 of CrPC would have sufficed for it. Another effective step can help in this direction, and it is of preparing a separate database of those people who have done crimes in the name of religion and caste and those who have been associated with those organizations which may commit such crimes. Court has directed the Nodal officer to hold meeting with the local intelligence but what about those people who give wrong tip to police? This is a very crucial aspect of police action which diverts the police and enables the wrongdoers to carry out their crimes freely. A provision should also be made that one who provides wrong information to police intentionally in these incidents must be treated as an abettor of lynching. While court has said that a special task force should be created in police to deal with such crimes then it has failed to add the fact that those policemen who have a past record of misconduct in such incidents must be out of the force. It should be a compulsory rule because it is seen that many policemen act as the protector of criminals in these cases out of personal bias and political pressure. Another database of those people should be prepared who incite violence with hate speeches and their movement must be restricted in those areas which are prone to it. While in the remedial measures, court marked that immediate FIR should be registered and also stressed on compensation to the victim in such crimes. It could have made it more effective by adding the measures of compulsory police protection to the victim and its family for a certain period of time as the local court may deem fit. The parliament can also add separate clauses in the SC/ST Act for mob violence if they are committed towards these communities and the proposed act on mob lynching should contain extra provision if the matter is related to minorities of any category. One must not forget the fact that many times these crimes are done with the consent of majority in the rural areas in the name of Khaap Panchayats and other institutions, hence such institutions should also be curbed with an iron hand. Many a times we as a society fail to address the issue of proper share of people related to diverse groups in the mainstream. Such act which has been described by the Court as “Horrendous act of Mobocracy” act as the chink in the armor for the solider of social solidarity among people. The new act may fail to address all issue relating to mob lynching but we as law abiding citizens can make the incomplete laws complete by understanding our responsibilities towards society. As directed by the court to broadcast the message on TV and Radio about result of mob lynching inviting serious consequences under the laws, the government may further ask the co-operation of white image NGOs and other social groups in tackling it. As BR Ambedkar also said that “Bad people make good laws ineffective while good people turn ineffective laws into effective one”. A new section can also be added in IPC and CrPC to address this crime because one thing is certain that the old IPC is unable to fight the Young crime of goondaism by Mob. Dr. Shilpa Jain& Nikita Aggarwal, Mob Lynching: A Dent in Majesty of Law, 2018 PL HR September 86 (2018). Jamiles Lartey & Sam Morris, Pain and Terror: America’s History of Racism, The Guardian, Apr. 26, 2018. Sumaiya Sheikh, The Cognitive Neuroscience of Lynching, (Jul. 18,2017), https://thewire.in/science/neuroscience-lynching-autoimmune-hate. 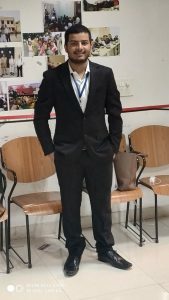 Pratik Kumar is a first year law student at Dr. Ram Manohar Lohiya National Law University.